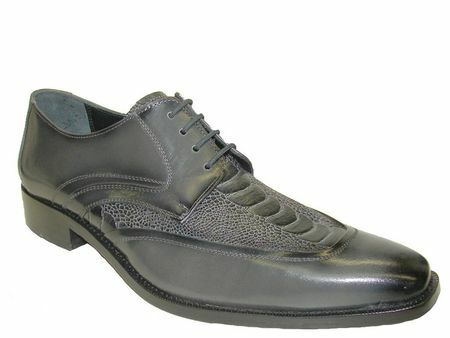 Nothing looks better on your feet when you have on a new pair of mens fashion dress shoes like these charcoal grey U-Wing style shoes from Giorgio Brutini. Featuring sweet looking ostrich print leather on top in a U-Wing design and rich looking calfskin on the sides, this is an Italian style dress shoe that looks far more expensive than it is. Stay in style with Giorgio brutini shoes.